Judge Michele Castillo and Dr. Bernie Luskin are the newest members of The Santa Barbara & Ventura Colleges of Law (COL) Board of Trustees. Both were elected unanimously this fall to serve as fiduciaries for the region’s oldest and largest independent law school. 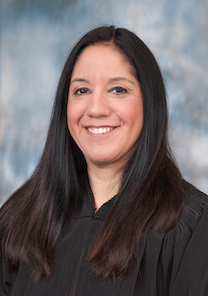 Judge Castillo was appointed to the bench of the Superior Court of Ventura Co. by Gov. Jerry Brown in June 2016. Previously, she served as a superior court commissioner, a deputy public defender, and a criminal defense attorney. She is a graduate of Thomas Jefferson School of Law where she earned distinction as an Outstanding Woman Law Graduate from the National Association of Women Lawyers, SBA President of the Year by the American Bar Association, and was nationally featured in The Hispanic Outlook in Higher Education, The Student Lawyer, and the National Jurist. “I am honored and humbled to follow in the footsteps of my former colleagues whom I deeply respect and am anxious to give back to the Ventura legal community in an academic setting,” Castillo said. Joining her on the 13-member board is Dr. Bernie Luskin, a five-decade veteran of higher education administration, most recently the chancellor of the Ventura Co. Community College District. 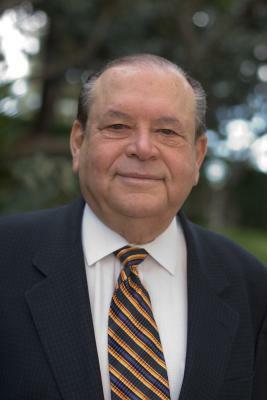 Dr. Luskin’s distinguished career includes serving as President of Coastline Community College, Orange Coast College, Philips Interactive Media, Jones International University, Touro University Worldwide, Moorpark College, and Oxnard College. Other leadership posts include serving as Executive Vice President and COO of the American Association of Community Colleges, and Executive Vice President at Fielding Graduate University. He is a graduate of Long Beach City College, where he later was inducted into its Distinguished Alumni Hall of Fame; CSU Los Angeles, CSU Long Beach, and UCLA where he earned a doctoral degree in higher education, Psychology, and Technology. He currently teaches at CSU Channel Islands. Established in 1969, The Santa Barbara & Ventura Colleges of Law (COL) was founded to expand opportunities and broaden access to legal education. COL is dedicated to a student-centered approach that affords students of diverse backgrounds the opportunity to pursue careers in law or legal-related fields. The Colleges’ faculty advances a real-world perspective and practicality on the application of law and includes practicing attorneys, judges, public servants, and leaders in business and non-profit organizations. An accredited nonprofit institution, COL offers a Juris Doctor (J.D.) and a Master of Legal Studies (M.L.S.) program. Starting in Fall 2018, COL will deliver a pioneering hybrid J.D. degree, the first of its kind in California. COL is regionally accredited by the Western Association of Schools and Colleges Senior College and University Commission (WSCUC) and the Juris Doctor program is accredited by the Committee of Bar Examiners (CBE) of the State Bar of California. For more information, visit www.collegesoflaw.edu. The Santa Barbara & Ventura Colleges of Law is an affiliate of TCS Education System, a nonprofit system of colleges advancing student success and community impact. Going for a beer run eh . . .